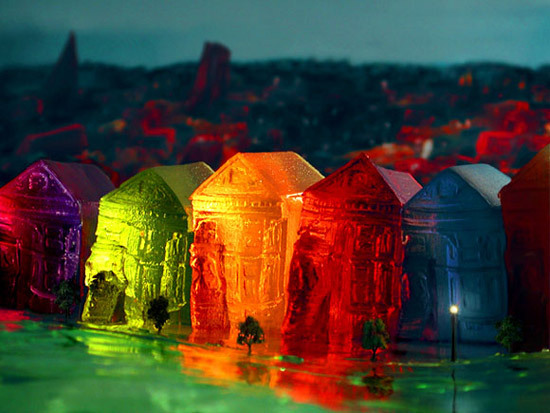 Yes, that is postcard row rendered in Jello by the amazing Liz Hickok. This week Randall and I had some Alameda cabin fever so we tooled around San Francisco looking for food and adventure. SF is about 15 minutes away and I work there five days a week, so it’s not a big trip. I spent my teens and twenties growing up there. I love the city and how it looks and the character of the buildings, but I never really realized what a miracle it is that so many amazing houses survived until I got my own house. 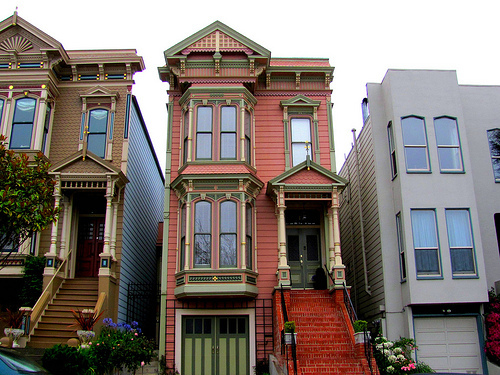 Click through for pictures of real live beautiful houses. 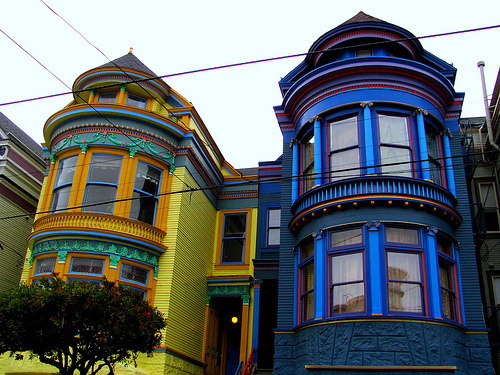 It’s not just Alamo Square painted ladies and mansions. It’s run-down single story houses and large apartment buildings with storefronts too. And it’s all over the city. Look at this corbel! How is this still intact? And there are literally dozens of them on some buildings. 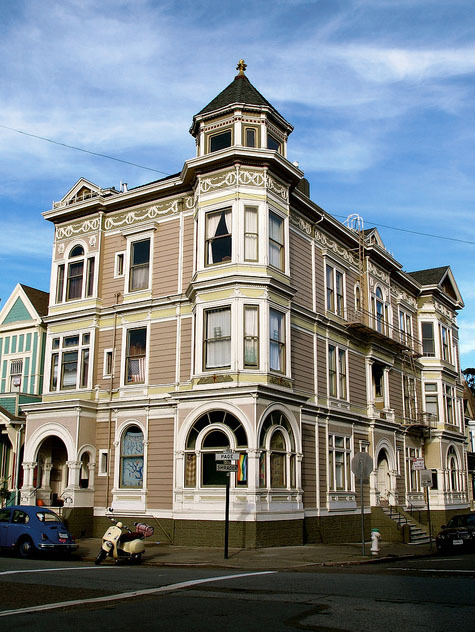 Not to mention the moulding, the spandrels and gables. 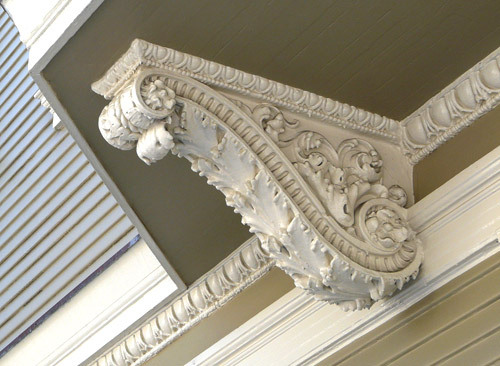 I realize that these details were mass-produced, but the amount of style and workmanship that went into these components that were liberally sprinkled on modest homes and apartments blows my modern-day mind. Some are stately buildings that probably never fell far into disrepair and others have been meticulously, or at least creatively, restored. 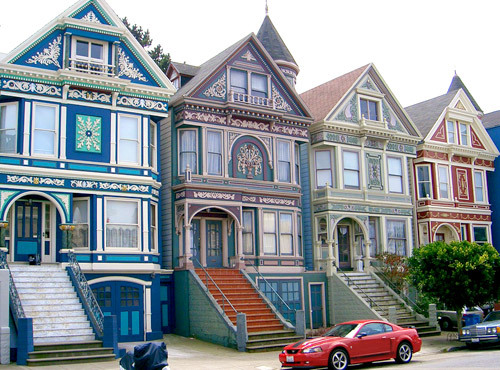 The really wild painted ladies are a phenomenon that dates from the 1960s, but even at the turn of the century many of these houses were painted in multiple (probably more sedate) colors. There’s Queen Annes, there’s Sticks, there’s Italianates and weird hybrids. There’s also many that are still standing but lack their former glory like the one on the right here, but that’s to be expected after a hundred years. 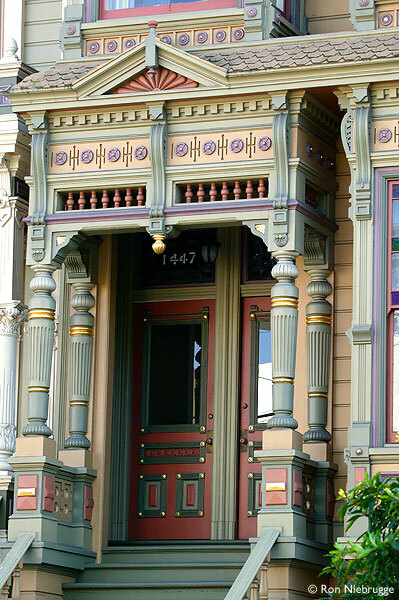 If you go to San Francisco and want to see some great architecture I recommend visiting the Mission, the Haight (upper and lower), the Castro, Pacific Heights and the Western Addition/Alamo Square neighborhoods. There’s tons of walking tours and it depends if you want to see many-million dollar homes or the more working-class neighborhoods. 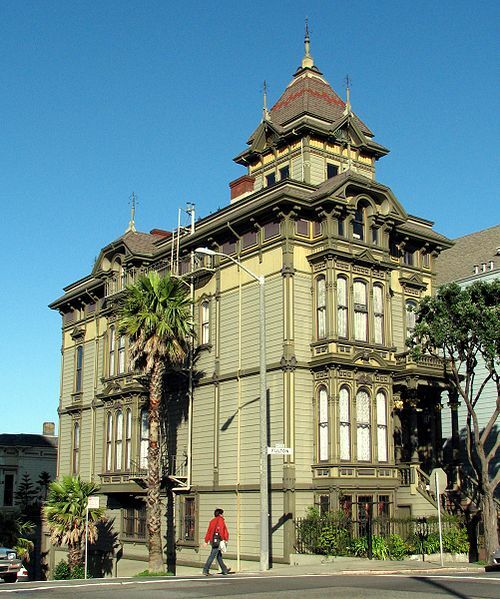 You can find much more information at San Francisco Architectural Heritage. I’ve been in the tower of the green house on the corner of Fulton.. I wish I could tell you whatI did when there. I wish you could too! I’m baffled.